Duplexes, fourplexes, and small-scale courtyard apartments have seemingly disappeared from neighborhoods as families have moved to the suburbs in search of single-family housing following the end of World War II and the expansion of regional highways. Now that life in urban centers has gained popularity, trying to find affordable housing has become increasingly difficult for the shrinking middle class. 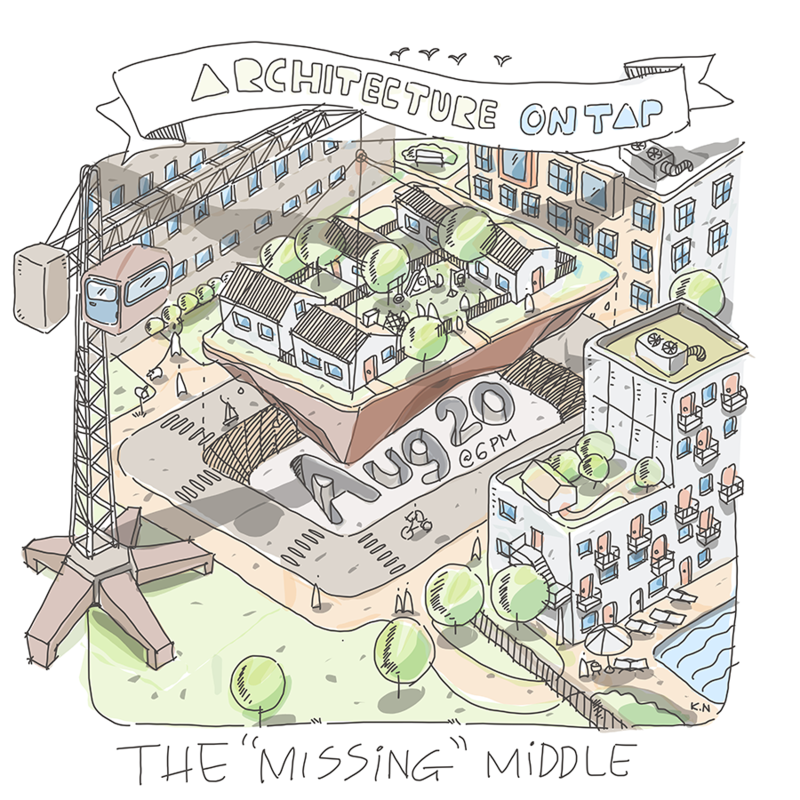 “Missing Middle” projects aim to create vibrant, robust, and affordable neighborhoods that consider the diverse needs of different income levels, age groups, and family sizes in the reality of 21st century life. Join us for the final installment of this year’s Architecture on Tap series as we explore the opportunity for architects to create desirable and affordable housing while navigating the history that has influenced the city’s current housing policies. Diane Cheatham, Founder at Urban Edge Developers, Ltd.
Robert Mundinger, Data Visualization at Commit! Student discount available, please contact khitt@aiadallas.org for code. Student ID required at check-in for verification.